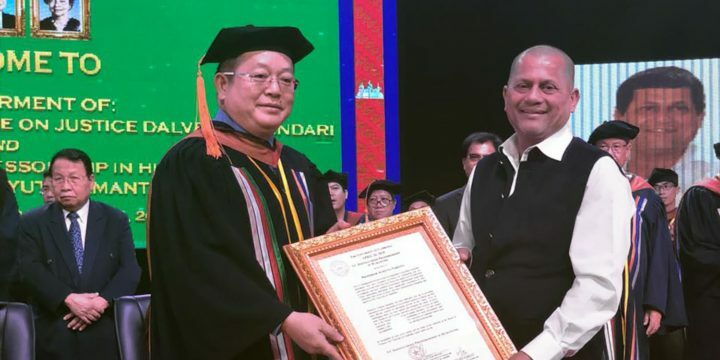 Noted educationist and founder of KISS and KIIT Dr. Achyuta Samanta was conferred with yet another honorary doctorate on Thursday. He was conferred with the honorary doctorate by Dr. DY Patil Vidyapeeth, Pune for his contribution in the field of education, health & social transformation of tribal children in the country. 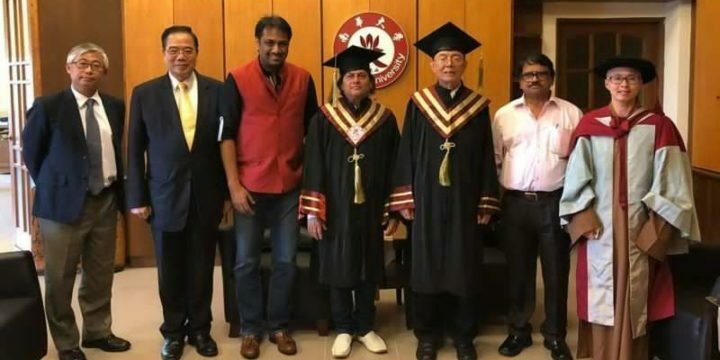 Vice President Venkaiah Naidu handed him the certificate and citation the honorary doctorate at a special function. The KISS and KIIT founder has so far received honorary doctorate from around 37 universities of national and international repute for his splendid and selfless work.